I ask for a support for a technician using the teamview or other software so the technician will troubleshoot my issue . I look in they posts for a few days and i cant find a solution. We do not have “technicians” that can provide 1 on 1 support. Please provide us with more information about the issue. What happens when you try to open it? What antivirus do you have installed? Did you install .net framework 3.5? Have you checked task manager to see if it started but failed to load the GUI? I have windows 7 on a cpu AMD Phenom II X4 820 Processor with 8 gig Ram my program when i start it it give me a message Horizon as stop fonctionning and its not start. 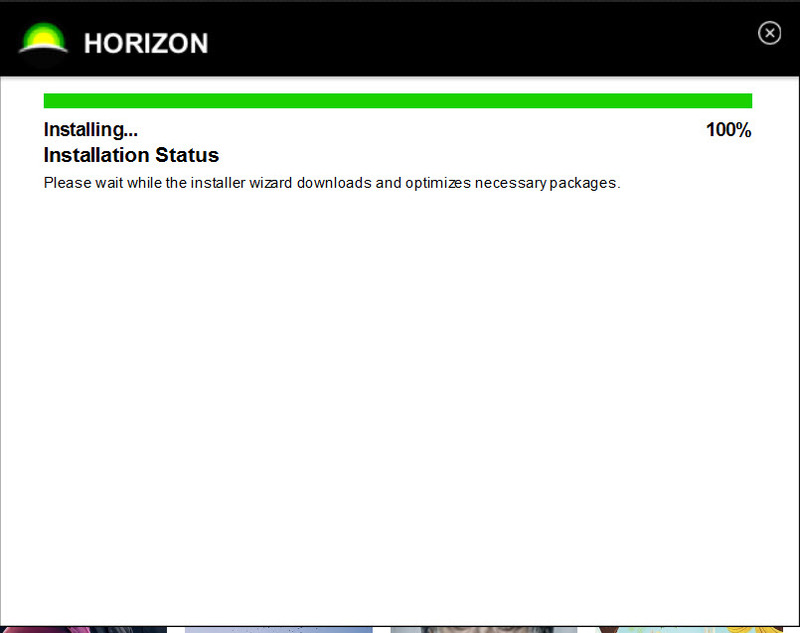 I tried your link to unistall my horizon and reinstall it nothing work. As i say in earlier post my AV is Bitdefender. I tried to stop it and start horizon again always the same. The next thing I want to try is start task manager to follow the issue concerning horizon stop working but I need help how to do it. How can i stop the app task manager running to be able to look what happen. Can i do that ? How can i find that framework net 3.51 is running on my pc ? I used task manager and i found Microsoft .net framework Ngen v4.0 and it shows that apk was stopped , and i tried to start that process and tried to start and after it stop again. (see the movie att. @Chris you have any idea ?? I think I found the problem causing Horizon wont start. I made another installation on my other pc and this one work. At the end of the installation it show me a button Finish and i click on that and the window closed. And do you have the same virus protection on the other one ? No ? in one forum on the net to fix this problem you need to uninstall Framework and reinstall the last driver from framework. I did that and no amelioration. I put this post in case this issue ring a bell. I resolved my issue I upgrade Windows 7 to Windows 10 and it works now. Ok cool glad you got it working !